Redbubble has changed their upload system and now you can upload separate files of your artwork for t-shirts and stickers. So I thought it was a good time to update my sticker designs, they seem to be the most popular product on Redbubble anyway. The sticker sizes vary from about 7 cm to 27 cm of width and they are removable. 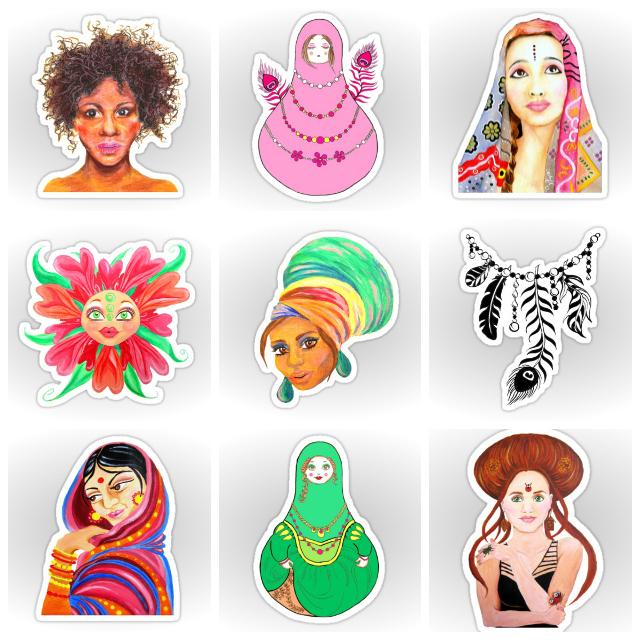 You can use them for your laptop, journal covers, walls etc. You can check out all my sticker designs on Redbubble. I added some new products, like notebooks and hardcover journals too, while I was at it. And a calendar for next year.